Most of our readers will remember the Tetley brewery, which was a Hunslet institution for over a hundred years. Many will be familiar with the headquarters building, dating from the 1930s and built in the art deco style. But how many of you have visited it since it became an art gallery? To many of us, putting up a sign saying ‘art gallery’ is like putting up a sign saying ‘private property – keep out’. But Bryony Bond, The Tetley’s Artistic Director tells me you couldn’t be more wrong. “Art is a conversation starter and while it can deal with complicated ideas, you don’t need complicated language to talk about it. “I believe a gallery is a reflective space, but that doesn’t mean you have to view the art in hushed, reverent silence. Art is sociable, it is about conversation. It helps you see the world slightly differently and that’s something worth talking about. The Tetley wasn’t built as an art gallery which means it has some unique spaces for showing art and gives it a more relaxed feel than some big galleries. Easter will see the launch of a new outdoor sculpture, “The Sun Shines Every Day Forever”. It’s perhaps an optimistic title for a piece sited in Yorkshire, but it refers to the architecture of California that it draws its inspiration from. Unlike some public sculpture, and in the spirit of The Tetley, touching, feeling and sitting on the work will be positively encouraged. Two more sculptures that The Tetley have been involved with are soon to be unveiled on Dewsbury Road in Beeston. This is just one of the ways The Tetley reaches out to the communities of South Leeds. The gallery works closely with New Bewerley Community School, Hunslet Moor and Hunslet Carr Primary Schools, running an after school art club at the gallery. The children have a lot of fun, drawing, making animations and other activities. The club also breaks down barriers as the children respond to current exhibitions and make new friends from other schools. Imagining libraries of the future is the theme that covers three upcoming shows by British and Pakistani artists. Illustrating that visual art is not just about paintings on walls, they include a film of staff and users reflecting on the changing ways, and particularly language in the bustling city of Karachi, from within the sanctuary of the city’s Bedil Library. Taking a different approach, The House That Heals The Soul has a fully functioning publishing studio and invites you to publish your own pamphlet to build the library and add your voice to the conversation. The exhibitions run from 9 February to 22 April and start with a preview evening on Thursday 8 February, 6-8pm. This event, like the exhibitions, is free and open to all. One of the ways The Tetley keeps its exhibitions free and its activities running is by recycling the profits from the bar and restaurant, which launches its new menu on 1 February. Serving breakfast, brunch and lunch through to evening meals the restaurant is open through to 9pm Tuesday to Saturday (6pm on Mondays). Small plates cost around £5, main dishes are £8-£12. Lots of people use the Tetley as a meeting place, for business or social meetings – it has an excellent café bar and restaurant. Bryony’s message is: whilst you’re here, take five or ten minutes, pop upstairs and look at the exhibitions. 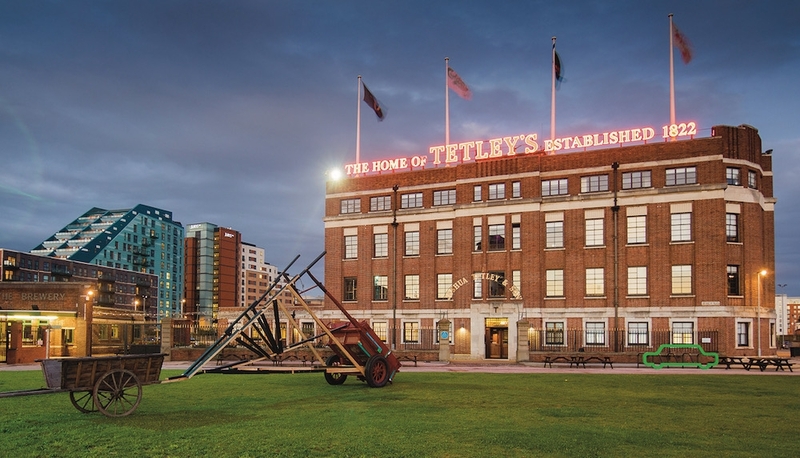 If your community group would like to visit The Tetley, the staff will be happy to give you a tour. Please contact Millie Carroll on (0113) 320 2323 or email millie.carroll@thetetley.org to arrange your visit. Wow! Thanks for posting this. I had no idea, so will visit next time I’m back in Leeds.